Bodnár J. Guest editor's foreword. Studia Universitatis Babes-Bolyai – Sociologia (Studia Universitatis Babes-Bolyai – Sociology). 2009;54(1):3-5. Bodnár J. Becoming Bourgeois : (Postsocialist) Utopias of Isolation and Civilization. In: Davis M, Monk DB, editors. Evil paradises : dreamworlds of neoliberalism. New York: New Press; 2008. p. 140-51. Bodnár J. Book review : From the Cult of Waste to the Trash Heap of History: The Politics of Waste in Socialist and Postsocialist Hungary. ; 2008. Bodnár J. Budapest. In: Merriman J, Winter J, editors. Europe 1789 to 1914 : encyclopedia of the age of industry and empire. Vol 1. Detroit: Charles Scribner's Sons; 2006. p. 309-12. (Scribner library of modern Europe; vol 1). Bodnár J. Book review : The Nation, Europe, and the World : Textbooks and Curricula in Transition. ; 2006. This article reviews the book The Nation, Europe, and the World : Textbooks and Curricula in Transition. Edited by Hanna Schissler and Yasemin Nuhoˇlu Soysal. New York: Berghahn Books, 2005. Bodnár J. Mean Streets, Neat Malls, and Market Halls : Commercialization and Public Space in the Age of Globalization. In: Siegel A, Uhl G, editors. Vásárcsarnok : minőségét korlátlan ideig megőrzi. Budapest: Ernst Múzeum; 2005. p. 159-61. Ernst Múzeum 2005. november 30 – 2006. január 1. Bodnár J. Rokfort kontra Big Mac : A globalizáció és alternatívái.. 2004;16(11):13-20. Bodnár J. Roquefort vs Big Mac : Globalization and Its Others. European Journal of Sociology. 2003;44(1):133-44. Being an ‘antiglobalizationist’ comes easy as a political label but as a theoretical endeavor, it is more difficult. Globalization encompasses a bundle of meanings. The paper disentangles some of the multiple implications of globalization and its purported enemies through the Big Mac-Roquefort opposition; it examines the <e1>taste differential</e1> of the two products, their symbolism and their stakes in the construction of ethnic, cultural and class identities. The simplistic opposition between globalization and its enemies is reinterpreted in the context of commercialization, Americanization, democratization, high-and massculture and-consumption, only to be cast in the age-old tensions of modernity. L'article tente de distinguer des significations diverses données à globalisation en partant de l'opposition entre un «Big Mac» et le Roquefort. Examen est fait de la différence de goût entre les deux produits, de leur symbolisme et de leur rôle dans la construction des identités ethniques, culturelles et de classe. L'opposition simpliste entre pro-et anti-globalisation est réinterprétée dans le contexte élargi des tensions de la modernité. Dieser Aufsatz versucht zwischen den verschiedenen Bedeutungen der Globalisierung zu unterscheiden ausgehend vom Gegensatz zwischen »Big Mac» und dem Roquefort. Es wird untersucht, inwieweit der Unterschied in Geschmack, Symbolik und Bedeutung beim Aufbau ethnischer, kultureller und sozialer Aspekte zum Tragen kommen. Die simple Unterscheidung zwischen Befürworter und Gegner der Globalisierung wird neu interpretiert im erweiterten Rahmen der Spannungen der Moderne. Bodnár J. Book review : Inventing the Needy: Gender and the Politics of Welfare in Hungary. ; 2003. Reviews the book 'Inventing the Needy: Gender and the Politics of Welfare in Hungary,' by Lynne Haney. Bodnár J. Budapester Zäune : die Neuordnung des privaten und des öffentlichen Raumes. In: Döllman P, Temel R, editors. Lebenslandschaften : zukünftiges Wohnen im Schnittpunkt von privat und öffentlich. Frankfurt am Main: Campus Verlag; 2002. p. 177-89. Budapest Fences: Reconfiguring Private and Public SpaceSymposium Lifescapes – Zukünftiges Wohnen Zwischen Privat und Öffentlich im Mai 2001 in Wien. 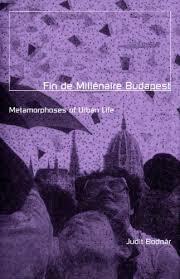 Bodnár J. Fin de millénaire Budapest : metamorphoses of urban life. Vol 8. Minneapolis: University of Minnesota Press; 2001. Bodnár J. On fragmentation, urban and social. In: Gotham KF, editor. Critical perspectives on urban redevelopment. Vol 6. Oxford: JAI Press; 2001. p. 173-94. (Research in urban sociology; vol 6). Bodnár J. Moszkva téri mozaik : Társadalmi átalakulás a nyilvános térben és a piac délibábja. 2000. 1999;11(12):50-62. Bodnár J. Art and Commerce as Logics of Budapest’s New Public Spaces. In: Dandekar HC, editor. City, Space and Globalization : An International Perspective. Ann Arbor: College of Architecture and Urban Planning. University of Michigan; 1998. p. 183-92. Proceedings of an international symposium, College of Architecture and Urban Planning, the University of Michigan, February 26-28, 1998. Bodnár J. Assembling the Square : Social Transformation in Public Space and the Broken Mirage of the Second.. Slavic Review. 1998;57(3):489. Assembling the Square : Social Transformation in Public Space and the Broken Mirage of the Second.. Focuses on the social transformation of Moscow Square in Budapest, Hungary, and looks at the economic conditions during Budapest's postsocialist era. Historical information on Moscow Square from the 1920s; In-depth look at commercial business which was conducted in Moscow Square; Reference to a monograph written by Peter Gyorgy which outlined his perceptions of the square. Bodnár J, Böröcz J. Housing Advantages for the Better Connected? : Institutional Segmentation, Settlement Type and Social Network Effects in Hungary's Late State-Socialist Housing Inequalities. Social Forces. 1998;76(4):1275-304. Bodnár J. Urbane Fragmentierung : Der Fall Budapest. WeltTrends : Zeitschrift für internationale Politik. 1997;16-17(4):47-69. Bodnár J. A szakadozó városszövet. Budapesti Negyed. 1996;4(14):167-83. Bodnár J. He That Hath to Him Shall be Given : Housing Privatization in Budapest after State Socialism. International Journal of Urban & Regional Research. 1996;20(4):616-36. The article investigates the post-state-socialist transition in Budapest, Hungary and its implication to the privatization of state-owned houses and discusses the relation between housing privatization to transition debate. Furthermore, the article describes at length the process of privatization in Budapest and reveals the relationship between privatization and housing inequality. The article also compares the results to a similar housing survey conducted in Moscow, Russia. The article seeks to explain the characteristic trajectories of the post-state-socialist housing transition. Housing privatization is the main element of the transition in the urban context; it demolishes the material basis of state socialist housing arrangements, and signals the end of the state's role as dominant landlord – a peculiarity of state socialist urban phenomena. Ownership change, in the way it has been accomplished, polarizes the chances of former tenants. This is so because housing privatization is marked by continuity with state socialist urban arrangements, and is bound to increase housing inequalities. 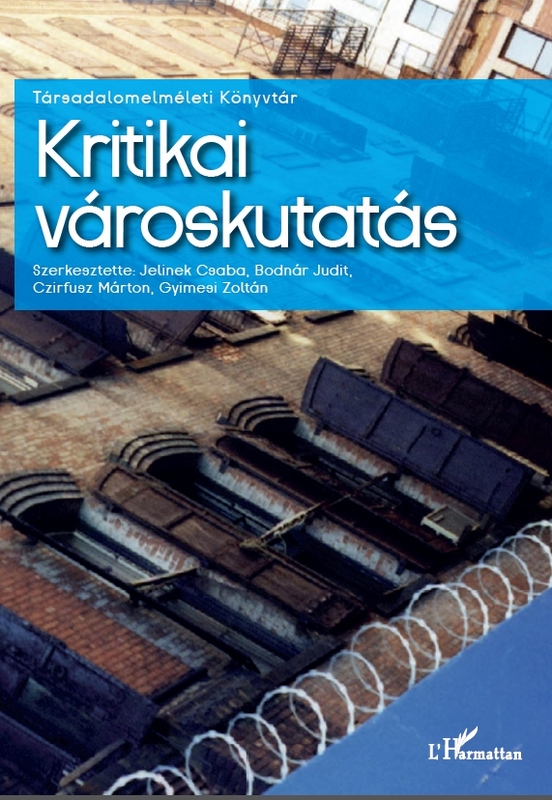 To substantiate the argument, the article relates housing privatization to the transition debate; provides a brief narrative of the process in Budapest; and scrutinizes the relationship between privatization and inequality in housing by examining quantitative evidence from a detailed Budapest housing survey. Bodnár J. Szótárunk határai. BUKSZBudapesti Könyvszemle. 1995;7(1):22-4. Bodnár J, Böröcz J. A racionális terminológiaválasztásról. BUKSZBudapesti Könyvszemle. 1993;5(3):267. Bodnár J. Book review : A kései kapitalizmus mint a posztmodern logikája?. ; 1993. Book review : A kései kapitalizmus mint a posztmodern logikája? Late Capitalism As the Economic Logic of Postmodernism? This article reviews the book by David Harvey: The Condition of Postmodernity.